While vacationing in Italy we've enjoyed the chance to dine out, but have also taken the opportunity to cook at home using some of the freshest and local ingredients we have access to while in Umbria. The home we're staying in is lined in fruit trees, and landscaped with fresh herb bushes of rosemary and lavender. 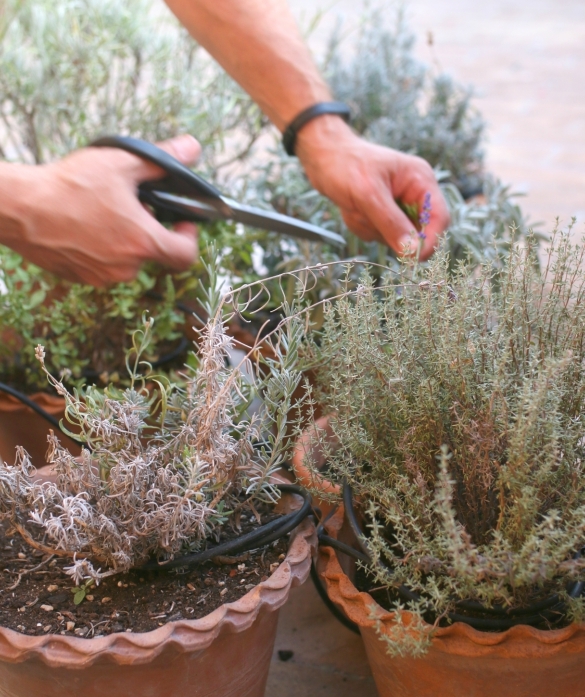 On the terrace sits a grouping of terra cotta pots bursting with perennial cooking herbs like oregano, thyme, sage and parsley that we've been taking full advantage of snipping here and there to prepare meals with. 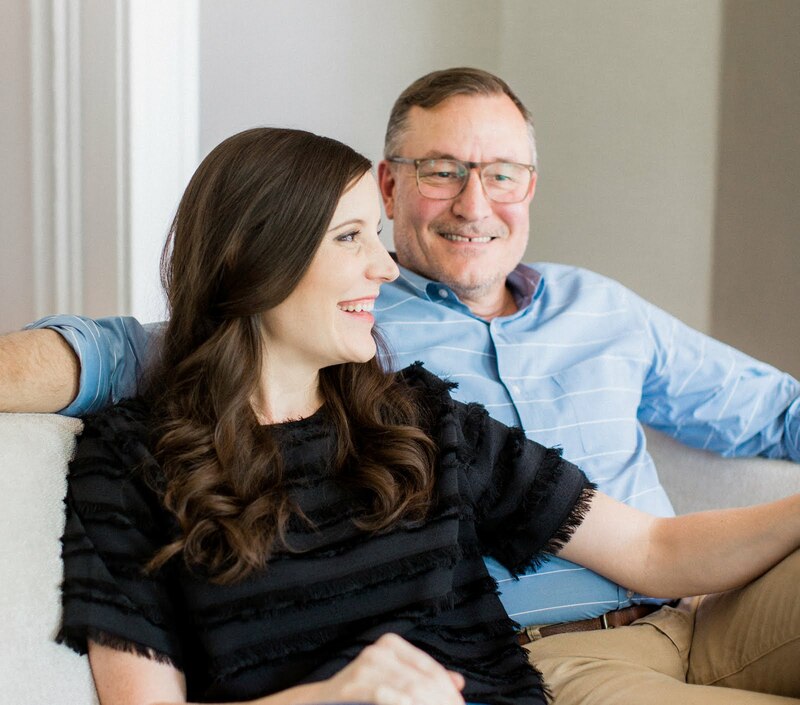 On one of the cooler evenings during our stay, I fired up the wood burning grill outdoors and Mary prepared a farro side dish to pair with the chicken and sausage we'd planned for that night's family meal. 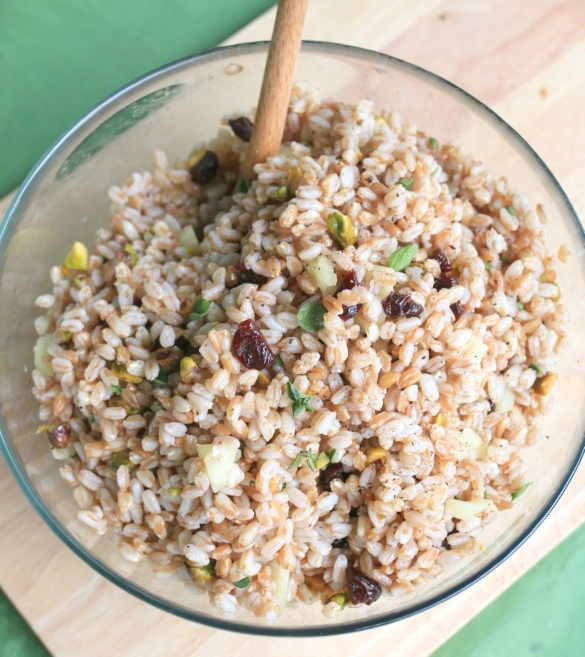 Farro is a hearty grain that cooks very similarly to rice or quinoa. It has a full, chewy texture with a nutty taste and can be an incredible base for warm or cold side dishes, salads and soups. The farro grain has origins that tie back to ancient times and currently it's predominantly grown in Tuscany, so we've found it quite fitting to use as a side to pair with the meals we cooked while here. The pistachios give this dish a nice crunch while the dried cherries provide a hint of sweetness that contrasts well with the bite of pecorino cheese. 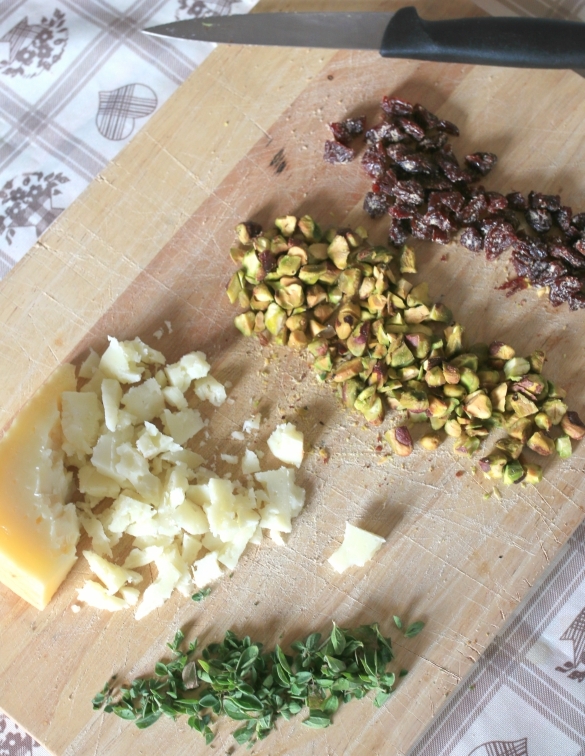 It would be a welcome side for holiday meals like Thanksgiving and Christmas and could be prepared similarly using different rough-chopped nuts, dried fruit, herbs and cheese for a new taste combination. Cook the farro by covering it with the water in a saucepan. Add 1 teaspoon of salt and a tablespoon of olive oil, then bring the water to a boil. Give the farro a quick stir, turning heat to the lowest setting, allowing the farro to simmer covered until tender, about 18-25 minutes. Once cooked, drain the farro and set aside. 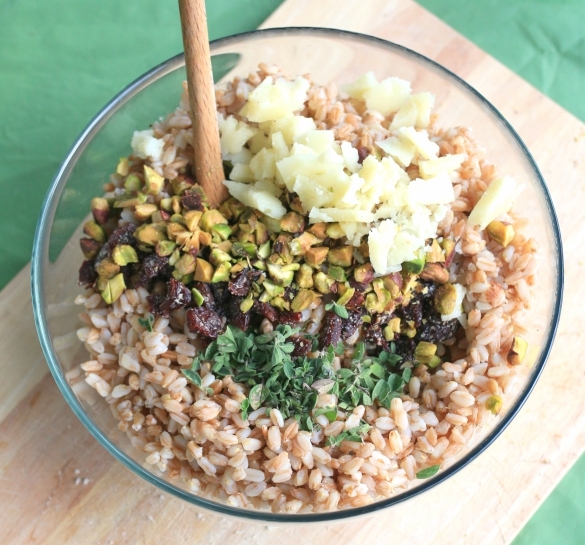 While preparing the farro, use a knife to roughly chop the pistachios, dried cherries and fresh oregano. Chunk off the pecorino cheese by gently spearing the top of the block with a knife (this simply provides a more rustic crumble instead of uniform pieces). 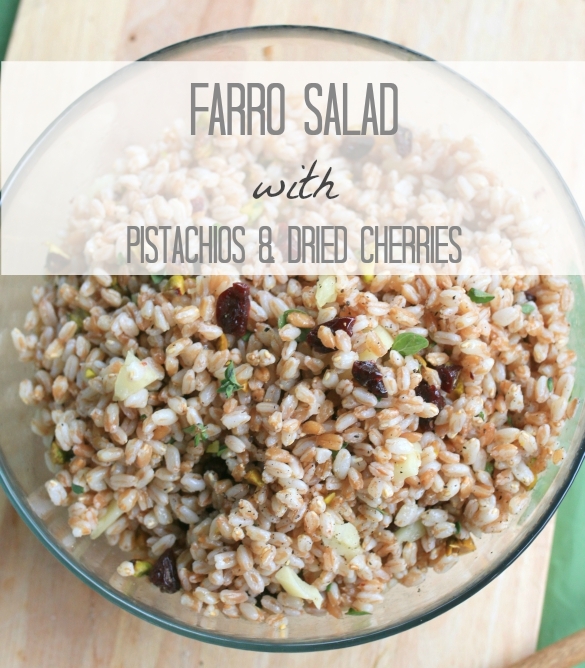 Combine the cooked farro with the chopped nuts, cherries, cheese and oregano. 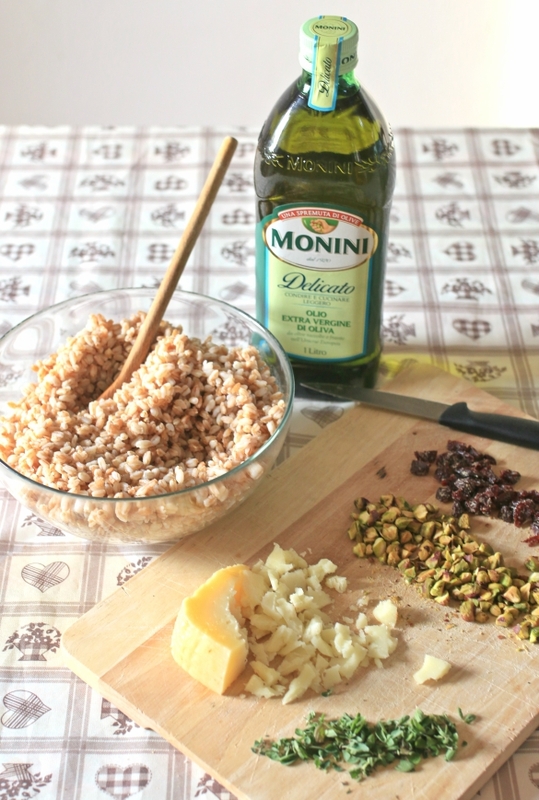 Drizzle with the remaining olive oil, add the salt, pepper and stir to combine. Serve as a side dish or as a bed to rest meat like chicken or pork over for a rustic, hearty meal. If there are leftovers, use them cold in a leafy salad to add depth or as a stuffing in peppers or lettuce wraps. Ooh that looks good! It kind of reminds me of tabbouleh.